In upstate New York, from Otsego Lake at Cooperstown to the rolling hills and farmlands near Corning and Elmira, people treasure a rural landscape at the headwaters of the Susquehanna River. A bit south and west of there, visitors travel to the Pennsylvania Wilds, a land once deforested, now forest again and home to the largest elk herd in the eastern United States. Still further south lies the internationally known Amish farming country of Lancaster County where off the main roads one sees and feels part of a different way of life. From Gettysburg through the Shenandoah Valley are the fields and small towns where our nation tore itself apart in the 1860s, now hallowed ground. 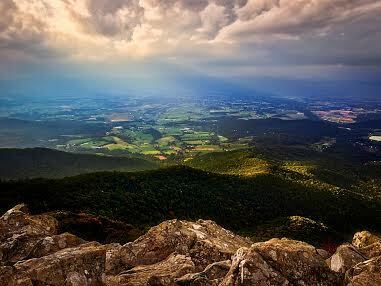 The Appalachians roll off to the west and to the east lies the vast coastal plain surrounding the Chesapeake Bay. Along these shores landscapes once indigenous, then colonial, later maritime, and today recreational, rural and urban, sit at the heart of the narrative of this larger place. This vast landscape of the Chesapeake watershed is a mosaic of all of the above, drawn together in countless ways: by the great rivers of the Chesapeake – James, Rappahannock, Potomac, Shenandoah, Susquehanna, Choptank and more; by layers and layers of history at the crux of the nation’s story; by interconnected waters, marshes and forests crucial to millions upon millions of migrating birds; by a tradition of local and regional farming still part of the region’s identity; even by a series of trails and byways that trace these connections – the heart of the Appalachian Trail, the Chesapeake & Ohio Canal towpath, the Captain John Smith Trail, the Journey Through Hallowed Ground and more. This greater Chesapeake landscape – in all its diversity – has inspired conservation efforts for well over one hundred years. The historic preservation movement was born here in the 1860s at Mt. Vernon. Throughout the first half of the twentieth century conservationists worked to protect and restore overwhelmingly deforested lands, forming the basis of what are now extensive state and national forests—magnets for recreation. 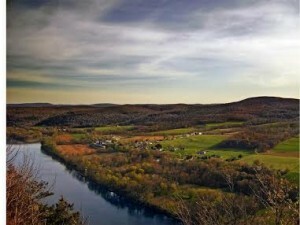 In the 1950s and 1960s, Supreme Court Justice William O. Douglas was a vocal advocate for establishing what would become the Chesapeake and Ohio Canal National Historical Park – a significant landscape conservation corridor along the Potomac River, and one that crosses another major corridor, the Appalachian Trail. Leadership at the state level spawned innovation that set national examples and stimulated adoption across broader regions. Vastly successful land protection programs were created in the latter half of the century in Maryland, Pennsylvania and Virginia. 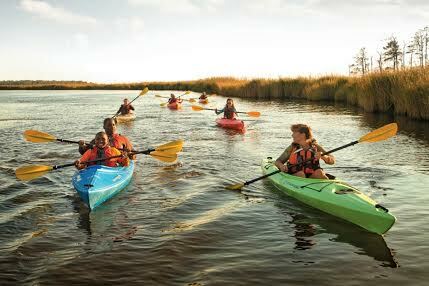 Pennsylvania established one of the first state heritage area programs and Maryland followed suit. A case can be made that the intensive development of heritage areas in Pennsylvania in the late 1980s and 1990s fueled the rapid growth of heritage areas nation-wide that continues to this day. The growth of local and regional land trusts in the Chesapeake over the past several decades mirrors explosive growth of land trusts nationwide. Innovative approaches to targeting and prioritizing conservation values have arisen here as well, such as Maryland’s “Greenprint” and Virginia’s natural landscape assessments. The 3.4 million acre Journey Through Hallowed Ground National Heritage Area is an example. A landscape bound together by the rolling Piedmont from Gettysburg to Monticello tells a big piece of the Chesapeake’s—and the nation’s—story. With the homes of homes of nine presidents, battlefields from the French & Indian Wars to the Civil War, working farms and forests and a national scenic byway, this place is rich is resources. Yet, it is the tying together of it all through a partnership, a name, promotion, education, conservation and leadership that make it so compelling today. It is an example of large landscape collaboration at the heart of the Chesapeake region; and an example of the success and innovation of the region as well. Conservation in the region has made great progress. Unlike western United States, by the close of the 19th century very little land in the Chesapeake watershed was permanently protected, just one or two percent, if that. One hundred plus years of efforts to conserve this very large landscape, and the many special landscapes within it, has brought a different result. By 2010, approximately 7.8 million acres in the watershed were permanently protected, twenty percent of the land mass. Yet, there is even more challenging work ahead. This is a landscape of 18 million people, most in the great arc of the metropolitan area surrounding the Chesapeake Bay from Norfolk to Richmond to Washington to Baltimore. The pace of change quickens, even more so as a changing climate and its effects on land, water, wildlife, culture and people unfold. Land fragmentation, invasive weeds, water quality and availability, the quest for energy, even the survival of stories and cultures all present challenges that extend across jurisdictions, organizations, and landscapes. The imperative of nurturing linkages and scaling up partnerships to extend across the Chesapeake region, along rivers and trails, and between cities and countryside springs from these increasingly complex challenges. Working at the landscape level is difficult. As the region’s conservation partners, we need the management tools of coordination, mediation, and facilitation of dialogue. We need our knowledge-building to include information at scales relevant to managing water, adapting to a changing climate, or protecting wildlife or historic resources. And we need to work across large landscapes to develop means that strengthen dialogue, support shared actions, leverage resources and enhance coordination. Jonathan Doherty has been working in large landscape conservation for a number of years, starting with early national heritage area initiatives in Pennsylvania and then later the 300,000 acre Columbia River Gorge National Scenic Area in Oregon and Washington. He is now Assistant Superintendent of the National Park Service Chesapeake Bay Office where he helps facilitate collaborative efforts of the Chesapeake Large Landscape Conservation Partnerships.